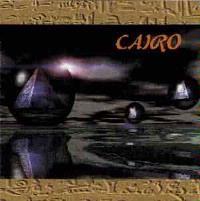 Cairo, the debut album by the progressive rock band of the same name, includes many diverse influences. Cairo takes classic progressive/art rock influences and updates them with modern twists. On this album, Cairo are Mark Robertson, Jeff Brockman, Alec Fuhrman, Bret Douglas and Rob Fordyce. A brief instrumental piece which combines elements of early Genesis, Yes` Cinema, and Joe Satriani, Conception is a very dramatic introductory number. Seasons of the Heart is about a relationship on its way out. "To understand intention, to close your eyes and see your way". However, it is a song about hope, not about loss; looking ahead rather than behind. It says "This is your time"..."Your journey lies ahead" Seasons of the Heart is incredibly hopeful about the possibilities of the future being wide open, times changing and optimism coming out of despair. The intro to this one really does have a solid Yes sort of feel while actually being more of an updating of that classic sound. Once it drops into the main section of the composition, the mode takes on a more accessible tone, while still feeling very pleasantly quirky. There is a break in this track which is remarkably dramatic, with some wondrously nice tempo and melody changes. A very strong number, this piece includes many intriguing twists and turns. The ending segment here has a very triumphant and positive sort of feel to it. A sad song combining elements of classic progressive rock with a fairly chunky contemporary guitar sound. Starting in a strong progressive mode, the piece eventually drops down into a classical string oriented section (not played by a string section, but conveying that sort of mode). The intensity level begins building from here. There is a good modern guitar based jazz sort of texture to this one, while it also possesses both general rock and progressive rock leanings. There are sections of this track which one could easily picture appearing on a UK album, and it contains a keyboard break which is very much in a Rick Wakeman sort of mode. The lyrics seem to say that the storyteller has lost his special someone. The line "the thief hangs beheaded in the square" may refer to the death of this person or it could be a metaphor for the loss he feels. Beginning in a definite Emerson Lake and Palmer sort of mode, Between the Lines eventually drops down more into somewhat UK influenced textures. This is a wonderful progressive rock journey and features some considerably powerful vocals and evocative arrangements. The instrumental break on this track contains some excellent keyboard voicings and considerably energetic and interesting bass work. 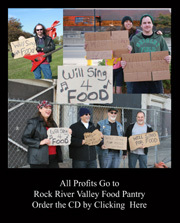 The musical wanderings alone are greatly energized and emotional. This is certainly one of the standout tracks on the album. The lyrics to this one are a bit mysterious, but they tell about "lies placating our souls." We all have so many lies around us; society helps put many of them there. "Wielding heaven's gavel as our own." We take those lies and herald them as truths. Shouting out against all those who say they are lies. Yet, "Rays of light-reaching out-try to touch us even as we hide". The truth tries to reach in to us, but still we hide in fear between the lines of lies and truth. This track is more or less a progressive rock ballad with just a hint of an R & B feeling at times. The latter parts of this track are very emotional both in musical and vocal intensity, and contain some marvelous classical keyboard allusions and innovative percussion work. There is a break in this song which has a definite church organ sort of feel. This is another very strong track. "But though hate dwells deep inside it, Up from the dust can rise a stronger love", "How can we bridge this chasm?" The lyrics here could be interpreted as talking about a war or world disagreement in particular. It seems like a generalization about world war and peace. This seems to be about a world divided in hate and anger and how that hate and anger will burn down all we have accomplished (peace) so far if we are not careful. It is about the senseless acts of anger in the world, but it (like most Cairo songs) is also about hope. How can we get beyond this world of hate and war, the song asks. Up from the dust of hate can rise a stronger love. This one appears to be about someone who let their pain stand in the way of their life. By keeping their pain under wraps, they loose their chance to really live. They loose a conscience; they loose opportunities, not even seeing them as they are hiding behind their pain. Their lives have been colorless and gray, a lie and an illusion. Although they thought they could escape by this hiding. "Time will judge us in turn." Fans of ELP will love this song. The first 5 plus minutes here are in an instrumental mode much in the style of Emerson Lake and Palmer. Once the intro is complete and the main song structure enters in, the piece takes on a more unique texture, although there are Genesisesque moments, textures that call to mind Yes and more of the ELP influences, particularly in the piano work. At over 22 minutes, this song certainly fits into the "epic" mode.